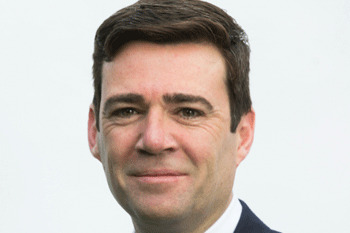 The mayor of Greater Manchester, Andy Burnham, has called for an investigation into what he called the ‘dire’ services provided by rail operator Northern. In a letter to Transport for the North (TfN), copied to transport secretary Chris Grayling, Mr Burnham asked the sub-national transport body (STB) to investigate whether the firm is in breach of its franchise obligations. The Northern franchise is one of two in the region that are managed by the Rail North Partnership between TfN and the Department for Transport. Last month TfN became the first STB to achieve statutory status. The Mayor’s office said that since the start of the year he has been ‘bombarded’ with complaints about Northern’s service. It said his intervention ‘follows weeks of disruption for travellers using the rail network across the city-region, including frequent delays, last-minute cancellations and often dangerously overcrowded on-board conditions’. Mr Burnham said: ‘Enough is enough. Northern Rail passengers, the people of Greater Manchester, deserve so much better than the dire service they have been forced to endure in recent months. In his letter to TfN chair John Cridland, Mr Burnham acknowledged that there were underlying causes to the issues, including delays to Network Rail’s electrification programme, but argued that recent issues seemed to be caused by staff shortages. The mayor’s office said data shows that Northern has recently missed targets for delays and cancellations, including double the number of anticipated cancellations during March. It also claimed that Northern has not yet met several public commitments to improve services. In a separate letter to Mr Burnham, Network Rail’s route managing director, Martin Frobisher, acknowledged that upgrades to the Blackpool North line had been completed three weeks late, which had reduced the time Northern had to train drivers on the changes.